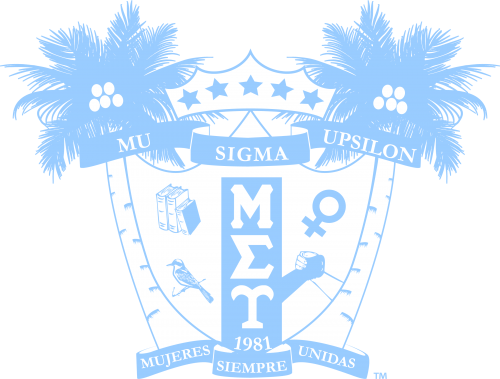 Statement on Florida Board of Governors Ban of Greek Life | Mu Sigma Upsilon Sorority, Inc.
Mu Sigma Upsilon Sorority, Inc. stands with Theta Nu Xi Multicultural, Sorority Inc. and endorses their statement: “Message to the Florida Board of Governor’s: Bans on Greek Life don’t and won’t protect students. They will hurt students instead. In too many ways. If Universities Ban Greek life but allow University Athletic teams to continue unfettered, can we honestly say their priority is to stop hazing and protect students?”. Time and time again we have seen University Athletes treated on a different standard for their abuse, misconduct and hazing practices. Never has a University team been banned nor thought of being banned for their rampant behavior. Instead they have been praised and even assisted in creating environments conducive to misconduct and destructive practices. How are you truly protecting students from hazing if the traditional initiation into teams is celebrated and provoked through the campus culture: training camps, pep rallies and march madness to name a few? 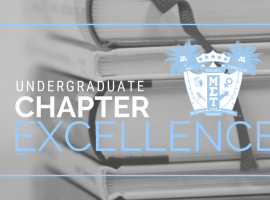 Greeks are some of the most influential members on their college campus’ leading academically and serving their communities. Furthermore, Alumni Greek have been some of the most influential citizens in this country: 40 out of 47 Presidents have belonged to Fraternities. Seventy one percent of those listed in “Who’s who in America” are Greeks. The Greek system is the largest network of volunteers in the United States, with members donating over ten million hours of volunteer service each year. There are nine million Greeks nationwide. However proud we are to be a part of the Greek community at large, the reality is the organizations in which we all belong to collectively honor our own individual values, principals and morals. Lumping us all under one umbrella sets a dangerous and ignorant precedent that Greek Letter Organizations are all the same. This is not true. Furthermore, condemning all Greeks for the actions of a select group of individuals only serves as proof for your own personal prejudices and misunderstanding of what camaraderie truly means to diverse Greek organizations. Please understand this, as the first multicultural Greek lettered sorority in the Nation, a culturally based organization, we are appalled that organizations such as ours have not been privy nor invited to hold transparent conversations that will impact our memberships. Nationwide women, people of color, and people of the LGBTQI community have been disenfranchised, isolated and silenced from issues that impact us. This is another instance in which we have been left out of conversations that directly affect us. Like this country our networks are imperfect and are always working towards improvements for progress. We ask that you do not ban our safe spaces, spaces of empowerment, spaces that celebrate and encourage our diversities. Although we make mistakes, Greeks hold themselves to a standard of excellence. The loss of life of a student(s) does not up hold that standard. Yes, one life loss due to hazing rituals is one too many. It has sullied not only that organization and local chapter but served as a permanent stain on all Greek organizations. Every action does have a consequence and we respect that in this case a decision does need to be made and perhaps it is a punitive one instead of reformative. However, a ban may encourage and increase further hazing practices. To banish all Greeks in the state of Florida for the actions of individuals whose goals and new member orientation are disparate to our organization, other multicultural Greek organizations or even culturally based organizations is both disheartning and inapt. Organizations such as ours have bred professionals whom are: Engineers, Teachers, Law Enforcement Officers, Healthcare Workers, Judges, Senators and countless good Human beings whom volunteer our time to be mentors and advisors for undergraduate chapters in your state Universities. I hope you consider this when you make your final decision. 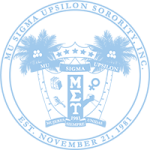 Mu Sigma Upsilon, Sorority Inc.